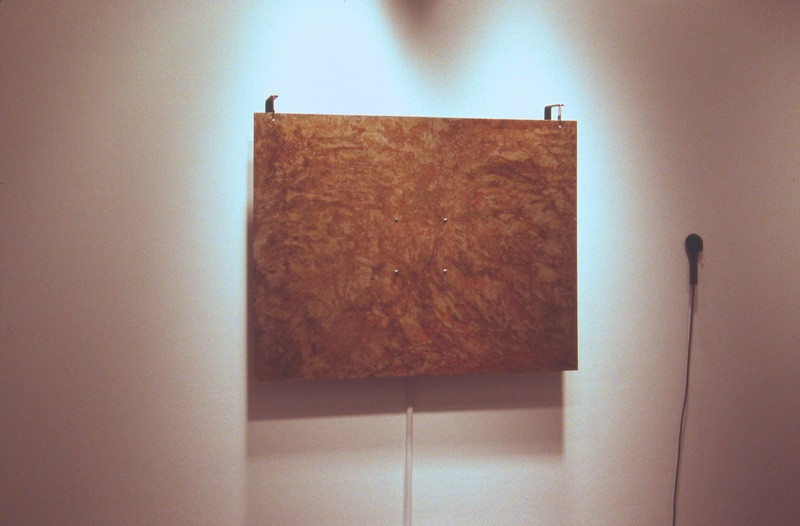 A rusted metal plate is suspended from the wall. Viewers/listeners use an electronic wand to create a constantly changing sonic environment. Sound from the plate is electronically processed and returned to the plate. The sound heard from the plate is a combination of the resonant characteristics of the plate and the electronic processing of the signal.